It is part of our culture, our daily practices, perhaps even our DNA: the desire to do things faster, easier, and with minimal sacrifice. Let’s face it. 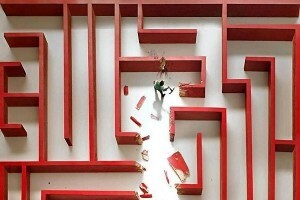 We want shortcuts. While finding a quicker route to the grocery store can help us save time and even gas money, when we try to take shortcuts to self-improvement, we often end up spending more and gaining less. One sad example of this is in addiction. The desire to find the quick fix is the prime reason why addicts too frequently find themselves in relapse. They believe they can overcome their addiction in 7, 30 or 120 days. In other words, they want a shortcut. In my experience, families often suffer the same misconception. When addicts undergo positive changes during the early weeks of treatment, families rejoice to see a “return of the person they loved.” Too often, they assume the changes will be permanent and thus fail to provide strong support for the on-going work required of recovery. Consequently, they are devastated when relapse occurs and addiction again raises its ugly head. The harsh reality is that recovery from addiction takes hard work and a lifelong commitment. It is a process, not a destination. The addict or alcoholic must keep striving to manage or overcome the emotions, tendencies, and triggers that invite relapse. Recovery is like trying to walk up the down escalator. If you stop, even for a short time, you are quickly in the basement again. St. Joseph Institute makes every effort to help addicts find and join a good post-treatment recovery program, whether in the form of support groups, counseling, a sponsor, or sober fun. The only post-treatment choice that does not work is the one in which nothing changes, in which the addict picks up life where he or she left off, hoping that permanent recovery has been achieved. The addicted person and his or her family and friends will all be in a better place when they accept that addiction is a chronic disease – and that recovery does not come with shortcuts.